We’ve written a lot about relativistic jets recently — these are particles shooting out of black holes or neutron stars at nearly light-speed. 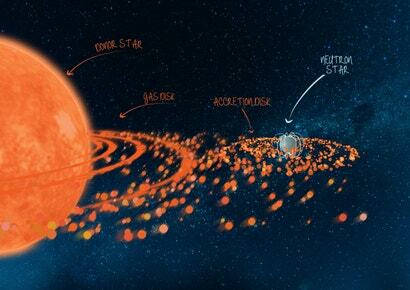 But scientists have long thought that strong magnetic fields around some neutron stars would prevent jets from forming. This new observation would smash that idea — so it’s back to the drawing board, once again. 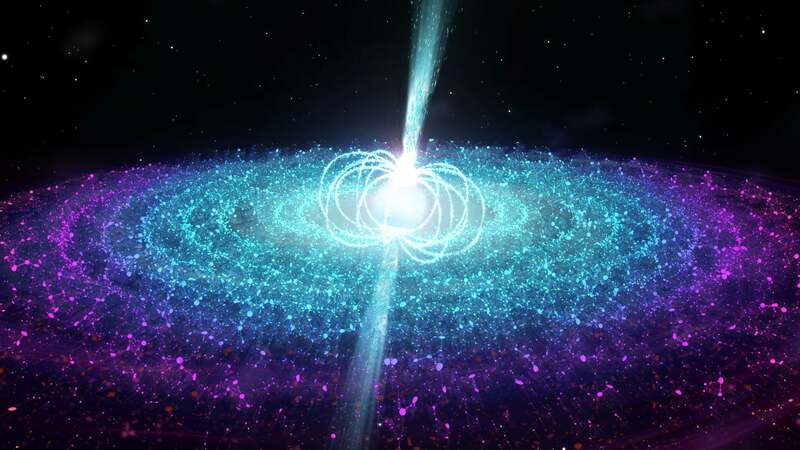 Scientists have observed neutron stars, dense objects that are heavier than the Sun but no larger than New York City, spinning while beaming light radiation or spewing jets of particles. But surveys during the 1970s and 1980s, as well as more recent observations, haven’t revealed jets of particles from the neutron stars with strong magnetic fields, those a hundred thousand times stronger than the intense magnetic fields produced in physics laboratories. So, based on all these observations, researchers guessed that these neutron stars simply couldn’t produce jets, and they excluded strongly magnetised neutron stars from jet formation theories. But the newest discovery changes that. 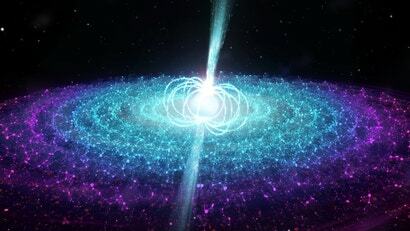 On 3 October 2017, the Swift X-ray Observatory detected a burst of X-rays and attributed it to a neutron star called Swift J0243.6+6124 spinning about every 10 seconds — that’s pretty slow for a neutron star — with a strong magnetic field. The X-rays indicated that the star had a disk of matter surrounding it, sucked up possibly from a nearby companion. They followed up with eight observations from October 2017 to January 2018 using the Very Large Array, an American radio telescope. How the radio observations dimmed over time, and how the light’s behaviour matched the X-rays, indicated to the astronomers that the neutron star was also emitting a jet.